This is the fictional history of the WCW United States Title as it relates to the holodeck program of Worf, Wesley, Will Riker, and Tasha Yar. Some reigns are not counted due to the belt being hotshotted the same night or for other short useless reigns. This title is defunct but the reign count includes NWA reigns from 1975-1991 and WCW reigns from 1991-2001 (not including the time the belt was defended on WWF tv during the Invasion angle). 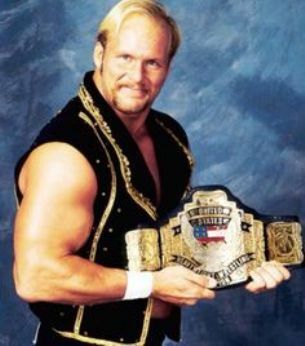 Sixty seven men have won the WCW United States title with Ric Flair holding the record for most reigns with 8 while Lex Luger has the record for longest individual reign and most days cumulative as champ.